Gaijin Entertainment, award winning developer and publisher, and OnLive, the cloud gaming leader, have announced that the mega-hit WWII MMO War Thunder is now available via OnLive® Game Service. 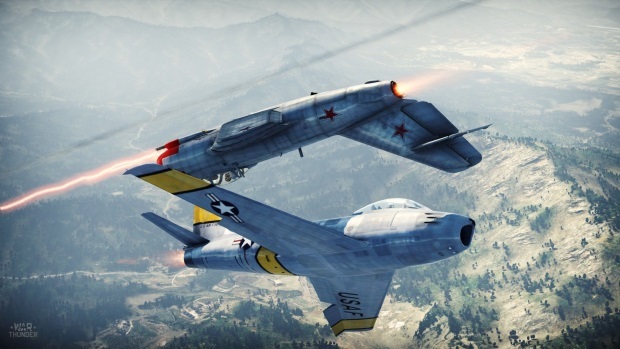 Gaijin Entertainment’s War Thunder was added to OnLive’s recently launched CloudLift™ – a new subscription model allowing fans to instantly access high end PC games anywhere using a wide array of connected devices, including mobile. Now boasting more than six million players worldwide, War Thunder fans can instantly jump into the cockpit of their favorite WWII planes using their connected devices via OnLive CloudLift and take flight to conduct massive symphonies of aerial destruction against opponents. OnLive CloudLift is an unrivaled high-end cloud gaming subscription service that leverages the power of OnLive’s muscle-bound cloud servers to handle all of the heavy lifting required to stream PC games. Fans can now access War Thunder from their OnLive gaming library using connected devices such as TVs, tablets and mobile devices and instantly experience all of the game’s high-octane aerial dogfight gameplay in massive multiplayer battles without the hassle of having to download the game again or worrying about hardware performance. War Thunder via OnLive Game Service and CloudLift is now available on a wide array of devices, including Android™ tablets using a Bluetooth controller, lightweight laptops as well as TVs that possess the OnLive Game System or VIZIO® Co-Star, and on the LG Google TV. 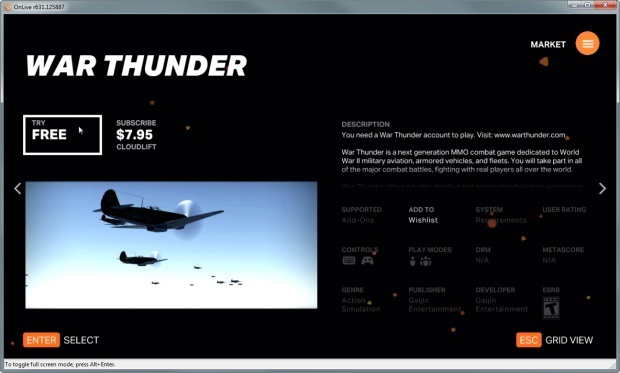 War Thunder will be free-to-play on OnLive CloudLift, a monthly subscription service that costs $7.95 (£4.95), which includes a free 7-day trial. For more information about OnLive CloudLift please visit this site. WarpPortal is proud to announce their one year anniversary of the launch of Ragnarok Online 2: Advent of Valkyrie.